A new full service luxury jewelry store is opening off of the Guilford Green March 1st! Water Street Jewelers will be holding a grand opening celebration from 6-9 PM on Friday, March 1st. Customers are invited to come and view our collections and make a wish list! All wish list entries will be raffled off at 8:00 PM with a chance of winning eight raffle prizes including a Sylvie stackable diamond band! The prices include sterling silver starfish earrings from Sugar Snap, freshwater pearl and rose gold toned earrings from Pocket of Posies, pearl earrings, a floating pearl necklace, a charm necklace, a$50 gift certificate to Water Street Jewelers, a $75 gift certificate to Water Street Jewelers, gold and silver bangle bracelets, two lava bracelets and a Grand Prize of a Sylvie Stackable. There is no purchase necessary to enter. Prices are valued at over $2000! Water Street Jewelers is a family owned business run by Todd Taylor and Daniela Balzano. After meeting at Guilford's well known Marketplace and eventually committing to a life shared, Todd and Daniela knew that their fate was greater than merging a household of six children; they dreamed of one day creating a jewelry business that would be a trusted and loved staple on the Connecticut shoreline. Daniela, a well versed jewelry industry professional, has specialized in handcrafted inlay and bridal jewelry for the past 10 years. Coming from an arts background, Daniela understands what it means to create a unique piece that fits the needs and desires of her clientele. Daniela mindfully curates Water Street Jewelers lines, and looks for not only quality, but responsible sourcing of diamonds and materials. Todd comes from a business and banking background. He oversees store operations, financing, and gold buying. Todd's fair and honest approach will set customers at ease when looking to finance their diamond ring or sell saved gold. From special design, bridal and engagement, watch repair, or just simply cleaning aged pieces, Water Street Jewelers will do it all. Most importantly, Water Street Jewelers curates a collection of unique jewelry and accessories that exude the cultures and traditions of the craftspeople who create them. “Many of our products are designed by talented artisans from around the US, and along with each collection, we highlight the artist's story. We hand select product that is a symbol of the happiness, empowerment, and the beauty we want our patrons to feel when wearing them. We want them to shine. 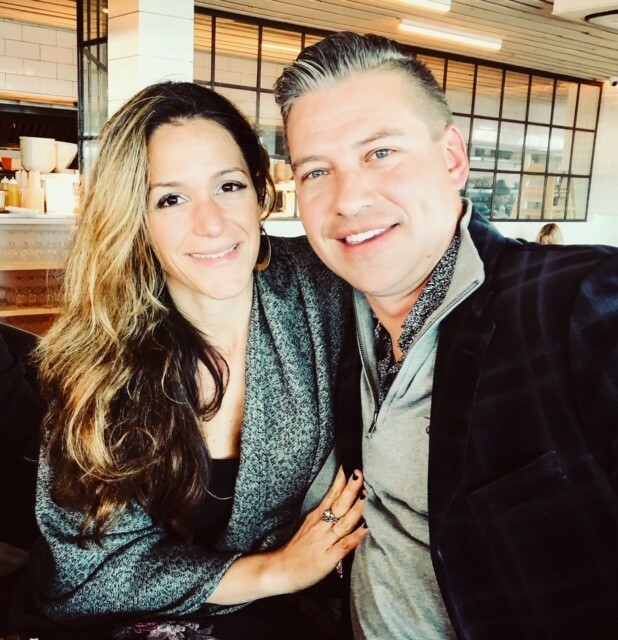 Years after meeting at the Marketplace, Todd and Daniela’s business opens just behind the location where they had met. Water Street jewelers, located at 23 Water St. Guilford will open its doors on March 1 at 4:00 PM for a ribbon-cutting. A special champagne event and jewelry raffle will follow at 6pm. Private appointments may be made before Valentine’s Day. Please contact waterstreetjewelers@gmail.com for details.